Certain foods low in calories and high in water content can help to promote weight loss. Having a high fiber and protein diet can also help to make you feel fuller even when eating less calories. Manganese, Chlorophyll, and Choline can all also help to promote weight loss. See the 50+ fruits, vegetables, and herbs that are known to help with weight loss in our FREE iOS, Android, or Universal Web App! Greens are especially great to grow if you want to promote weight loss! They add quite a bit of volume to your meals without adding a lot of calories or carbs. Greens are packed with nutrition to help support a healthy diet! Some examples of greens would include spinach, kale, collard greens, and swiss chard. These cruciferous veggies are high in fiber which will fill you up faster without eating as many calories! Some examples of cruciferous vegetables include bok choy, broccoli, brussel sprouts, cauliflower, cabbage, and kohlrabi. Like cruciferous vegetables, beans can be beneficial because they are high in protein and fiber which will help to make you feel fuller without eating a lot of calories. 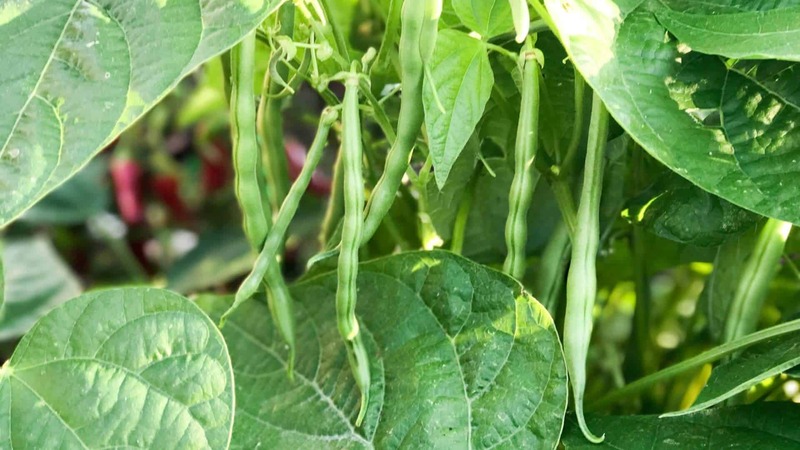 Some beans you can grow in your garden include pole beans, bush beans, and southern peas. Peppers are great for those wanting to promote weight loss! Peppers, especially the hot ones, are thought to increase your metabolism causing you to burn more calories! Peppers come in many different types: banana, bell, hot, and sweet. Strawberries, along with other berries and fruits can help to increase your metabolism and help to keep you feeling fuller. Some of the best fruits include strawberries, blueberries, blackberries, cherries, raspberries, pears, peaches, kiwi, gooseberries, elderberries, currant, apples, apricots, and pomegranates.